The 20th annual North Dayton Barstool Open is a fun indoor, miniature golf outing through 9 bars in the North Dayton area. Teams of four golfers travel from bar to bar completing a total of 9 holes from 11:00 am until 6:00 pm. 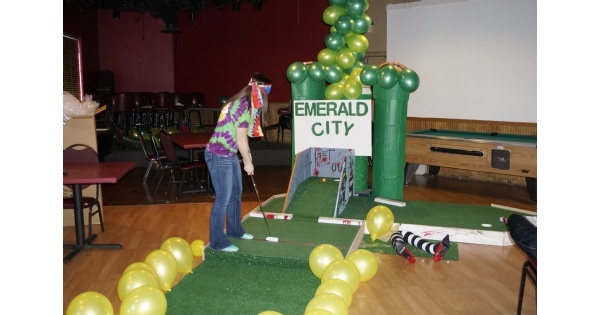 Make a team name, participate in the costume contest, bring a ball and a putter and join in the fun!! Participating bars include: Rip Rap Roadhouse, Bolts Sports Café, Submarine House Vandalia, Tony's Bada-Bing, Shiloh Athletic Club, Oscar's Bar & Grill, Wings Sports Bar & Grille, Hinders Bar & Grill, Little York Tavern. Download the registration form at ursdayton.org/barstoolopen. Find more events like "North Dayton Barstool Open"